With less than four months left until Spider-Man: Homecoming hits theaters, the cast is getting back together for reshoots. Laura Harrier revealed in a now-deleted photo on social media that "Liz is baaaack" along with the hashtag #spidermanreshoots, although it isn't clear how long these reshoots will last for. No other cast members have been confirmed at this time, but it seems likely that most, if not all of the main cast members will be back, such as Tom Holland, Zendaya Coleman, Michael Keaton and more. Along with this revelation of reshoots getting under way, VK.com has debuted two new promo artwork images for Spider-Man: Homecoming, one which features a new look at the Spider-Man costume, while the other features a number of new cereal boxes that will feature images from the upcoming movie. These new cereal boxes for Honey Bunches of Oats, Honeycomb and Shreddies, feature new images of both Tom Holland's Spider-Man and Michael Keaton's Vulture in action, with each of these boxes coming with a free Spider-Man digital comic book. These boxes start shipping on May 7, so get that milk ready! As for the reshoots, there hasn't been any indication of what these new scenes will entail, or how long reshoots will actually take place for. It is believed that reshoots will be taking place in Atlanta, where most of the principal photography took place on the movie. 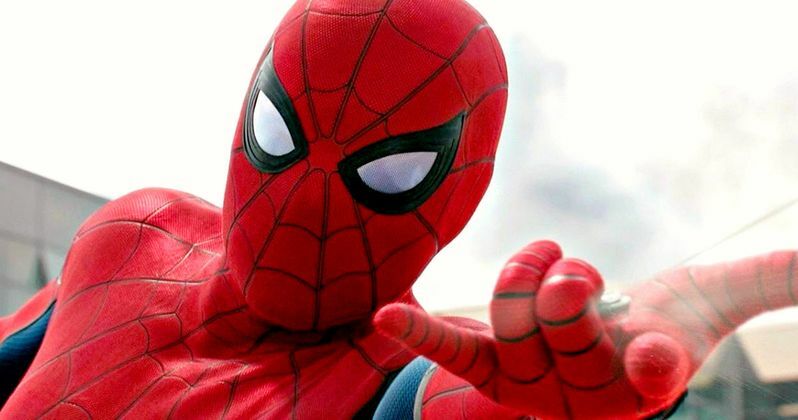 There was a brief stint of the production that took place in New York City, so it's possible that reshoots may be happening there as well, but there hasn't been any confirmation from the cast or director Jon Watts. One Twitter fan also noticed that Laura Harrier left a comment on one of Zendaya's recent Instagram posts, stating, "See you tomorrowwww," which essentially confirms Zendaya for the reshoots as well. The first Spider-Man: Homecoming trailer was released in December, and was well-praised by fans and critics alike, but there has been no indication of when the second trailer will be released. It's possible that Disney could be waiting for the release of Marvel's next Phase 3 sequel, Guardians of the Galaxy Vol. 2, which kicks off the summer movie season on May 5, but that hasn't been confirmed. As of now, Spider-Man: Homecoming doesn't have any direct competition in wide release when it hits theaters on July 7, but it does come just one week before 20th Century Fox's highly-anticipated sequel War for the Planet of the Apes. Sony has also announced that a sequel to Spider-Man: Homecoming has been set for release on July 5, 2019. It is believed that each of these movies will represent a year of Peter Parker's high school career, with Peter in his sophomore year in this movie. Spider-Man: Homecoming will also star Marisa Tomei as Aunt May, Robert Downey Jr. as Tony Stark, Zendaya playing Michelle, Tony Revolori as Flash Thompson, Jon Favreau as Tony's bodyguard Happy Hogan, Angourie Rice as Betty Brant, Michael Barbieri as Jason Macendale, Isabela Amara as Sally, Kenneth Choi playing Principal Morita, Michael Chernus as Tinkerer, Bokeem Woodbine as Shocker and Donald Glover in an unspecified role. Take a look at the now-deleted photo Laura Harrier sent out confirming Spider-Man: Homecoming reshoots, along with the new promo images.